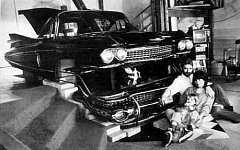 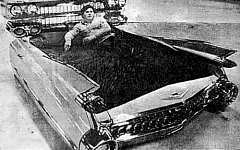 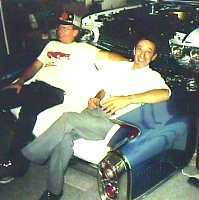 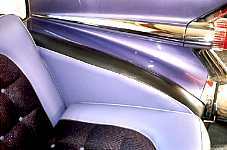 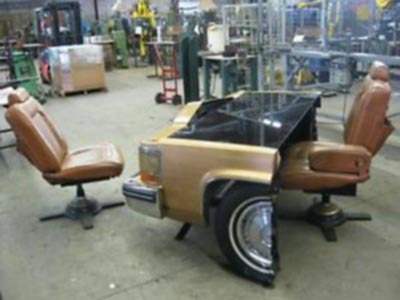 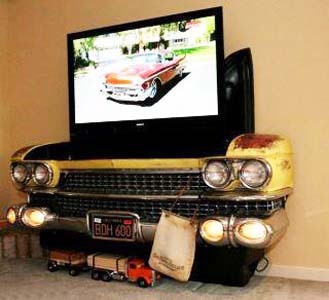 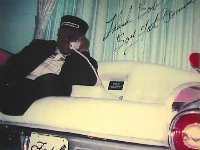 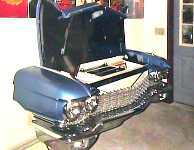 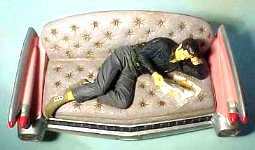 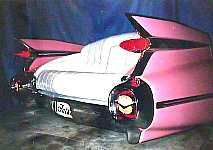 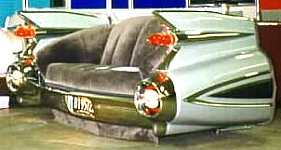 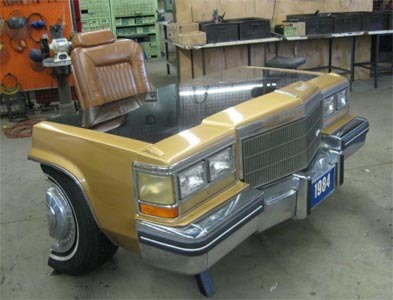 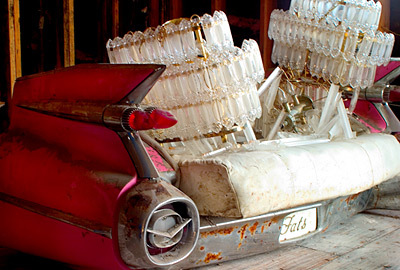 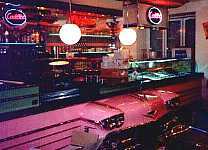 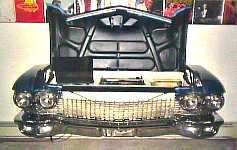 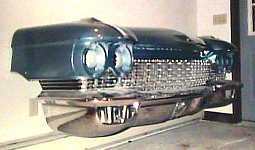 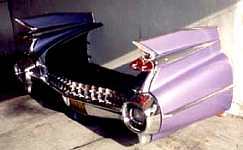 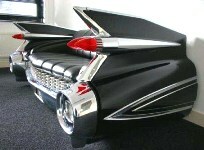 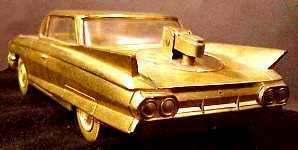 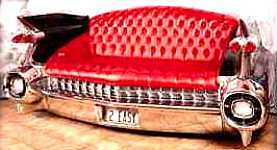 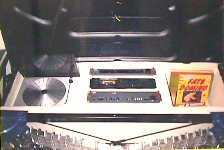 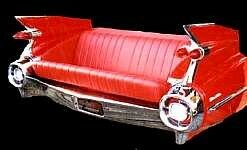 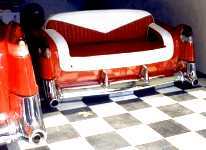 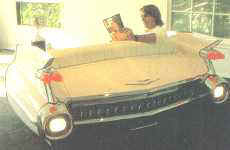 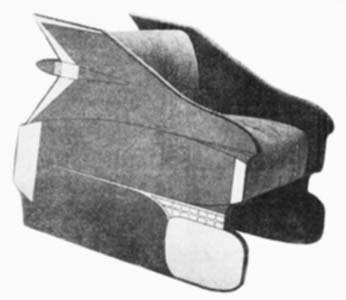 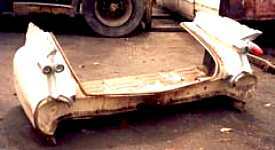 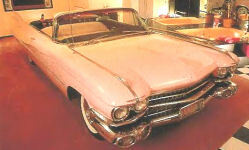 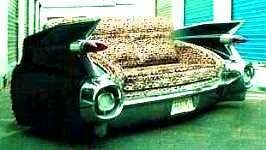 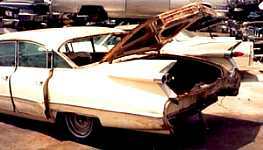 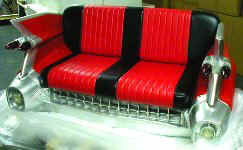 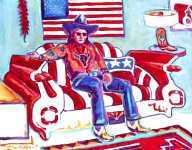 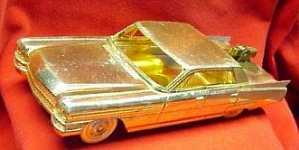 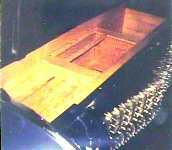 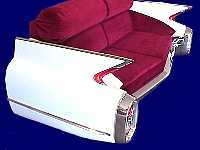 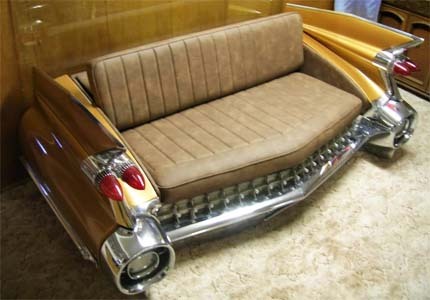 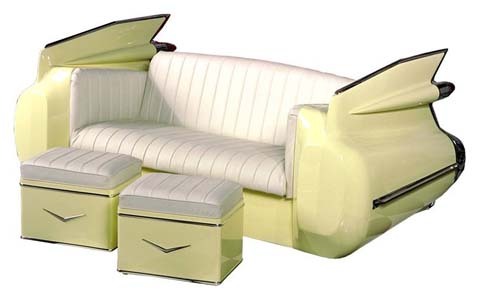 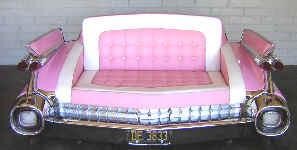 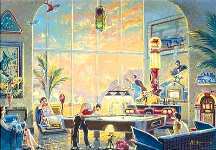 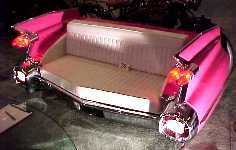 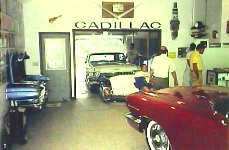 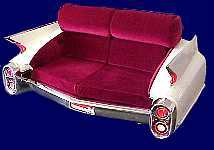 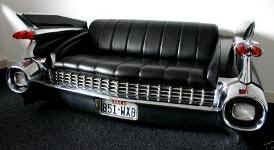 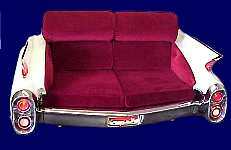 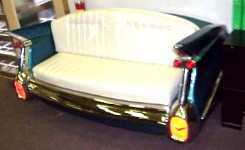 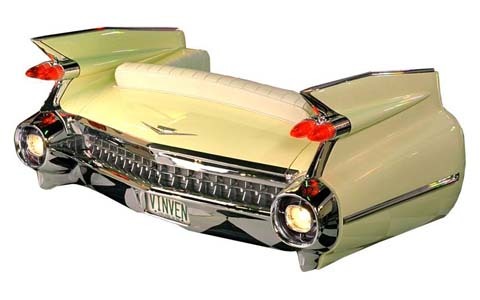 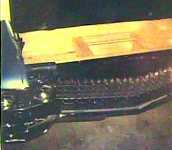 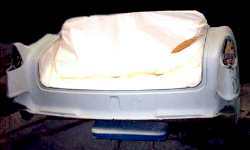 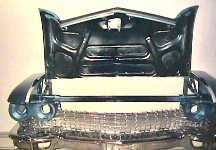 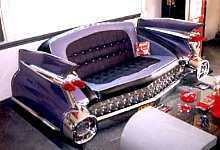 1955-56, from start to "please sit down"
The 1959 Cadillac couch is a popular home furnishing for the car nut. 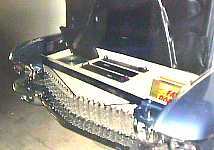 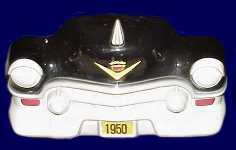 One of our friends in Switzerland has one [see "Shark 59" story]. 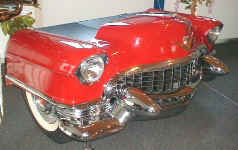 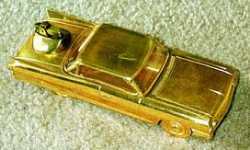 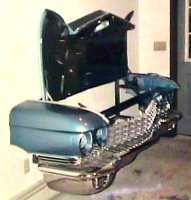 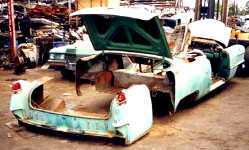 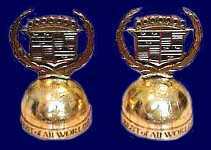 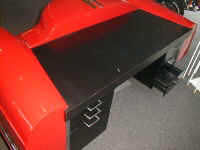 Right is the front of a '53 Cadillac ...to hang on the wall! 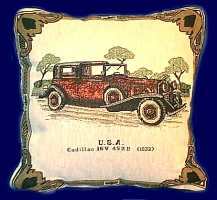 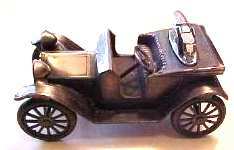 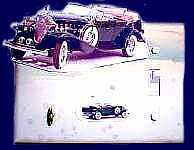 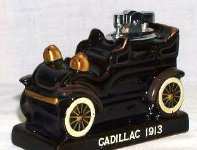 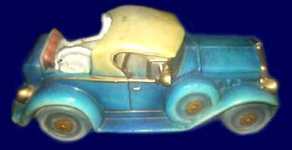 1931 Cadillac Sport Roadster "planter" INarco of Japan.